Factair produces a range of breathing-air distribution panels and systems ideal for the control, monitoring and distribution of breathing-air to users wearing masks and BA suits. Factair has produced a specifically designed range of panels or supply breathing-air to air fed suits in the nuclear decommissioning industry. Mounted on a manoeuvrable trolley, with flow distribution points easily accessible at waist height these units incorporate electronic mass flow meters with the facility to ‘fine tune’ each output. A sophisticated alarm system allows each flow channel to be pre-set with its own airflow parameters. 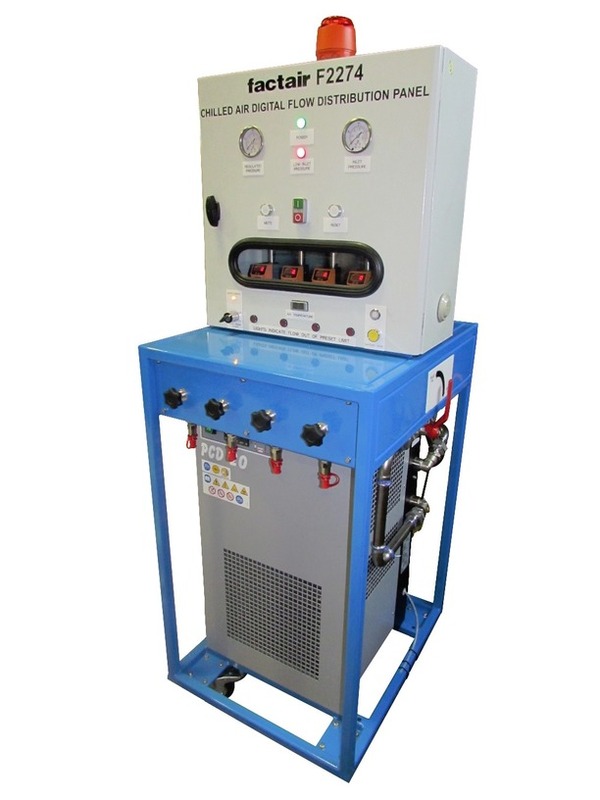 To improve user comfort the distribution panels can also be supplied with integral chiller / heater options to adjust the temperature of the breathing-air being supplied to each air fed suit. Directly compatible with Factair's range of engine driven breathing-air compressors, the F2025A is designed for users working at an extended distance from their supply source, to make the unit highly portable it is mounted within a wheeled PELI case. 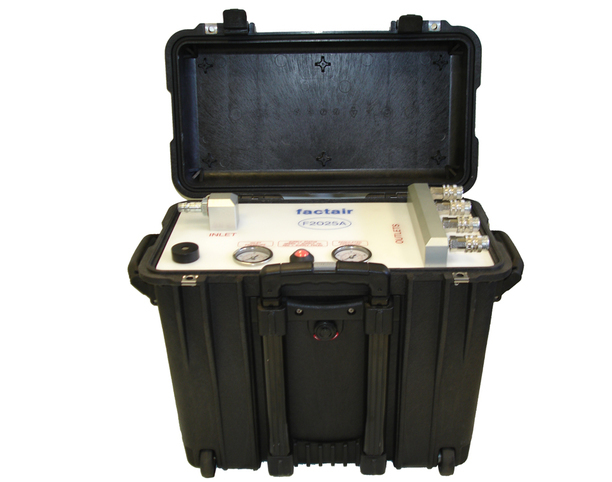 These units allow breathing-air to be supplied to the working location using a single larger airline and features a pneumatically powered alarm, visual warning indicator and pressure gauges.